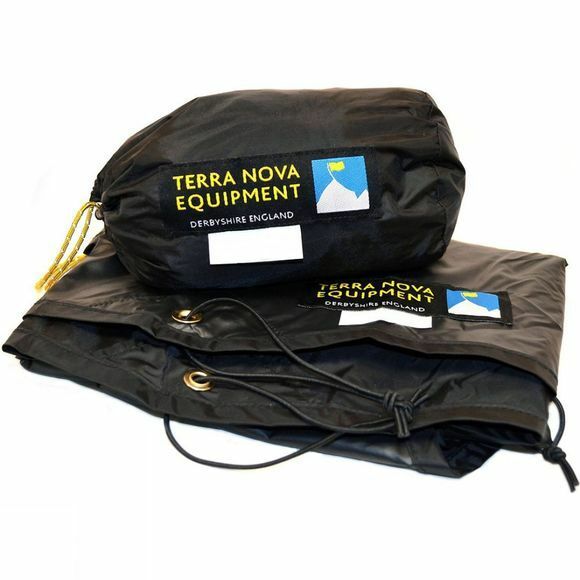 The Hyperspace Groundsheet Protector from Terra Nova offer more protection for your Hyperspace tent from sharp rocks and rough terrain while also helping keeping your tent clean at the same time. They are designed to fit under the inner tent and connect to the feet of the tent poles with loops for security. This helps keeps the weight down and offers extra durability, helping your tent last longer. Compatible with all Hyperspace and Ultra Hyperspace model tents.